right from the oven they are a delicious treat to serve to your family and friends. 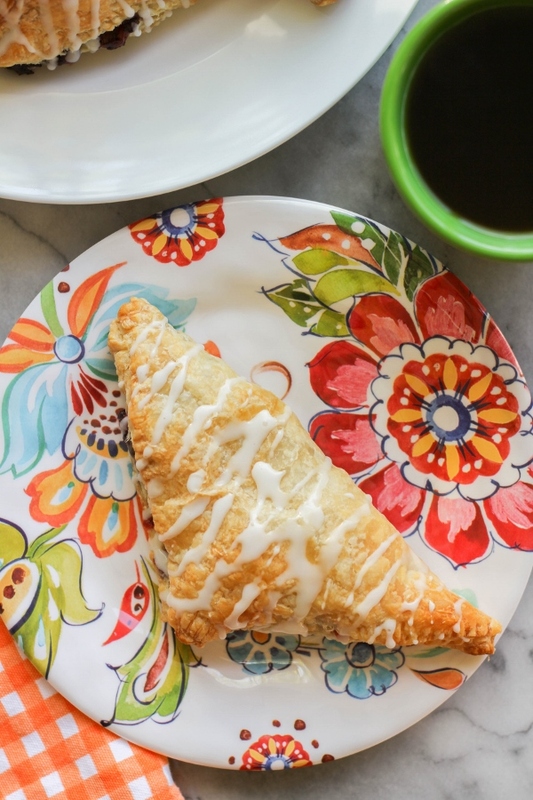 Growing up my mom used to buy these delicious little turnovers from the store for a special treat on the weekends. She served them for breakfast and I remember how excited I would get when I knew we were having them. Sometimes they were cherry filled, other times they were apple. No matter what the variety, they were always delicious! It wasn't until I grew up and started baking that I realized I could make these delicious treats at home. Of course you can make your own homemade dough, but I love using Pepperidge Farm® Puff Pastry Sheets. They are perfect for so many things, like Chicken Pot Pie with Puff Pastry Crust, or this Gruyere & Campari Tomato Tart. But I especially love using them in sweet recipes. 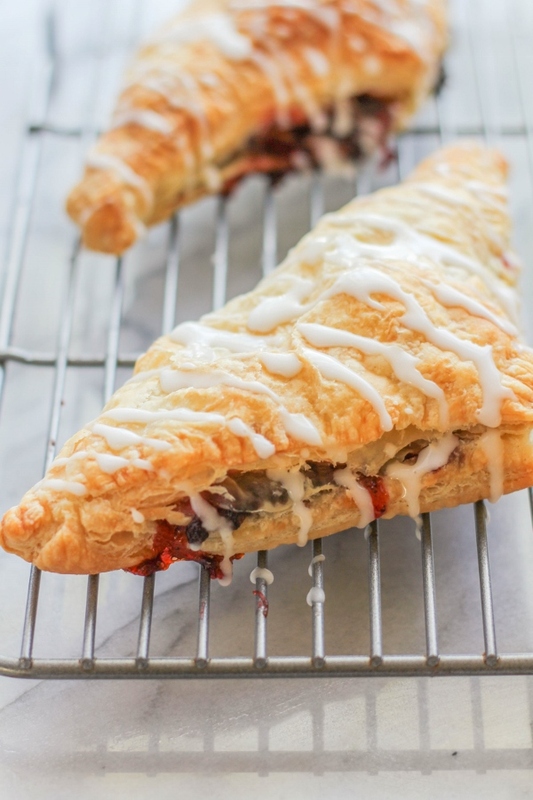 These Cherry Chocolate Turnovers seriously couldn't be easier to make! 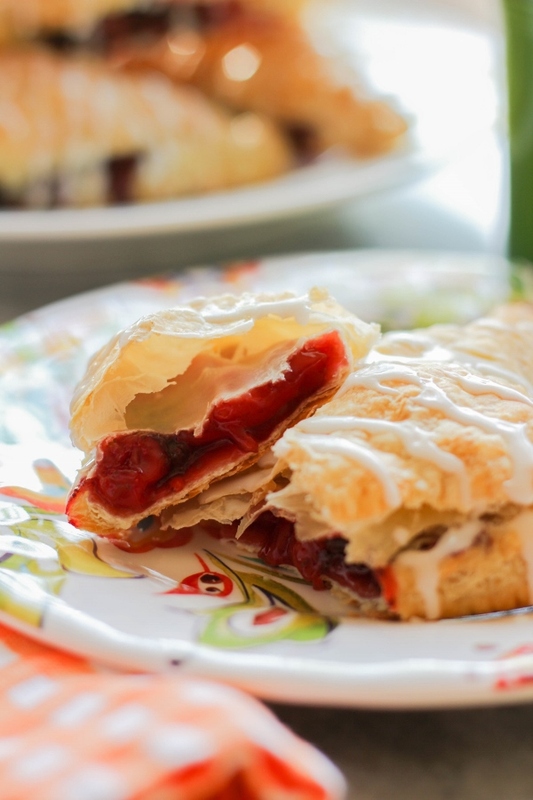 Three ingredients are all you need - Puff Pastry Sheets, cherry pie filling, and mini chocolate chips. That's it! They are drizzled with a simple icing made of powdered sugar, milk and vanilla. You can whip these up for weekend breakfast in no time, or even serve them as a dessert. 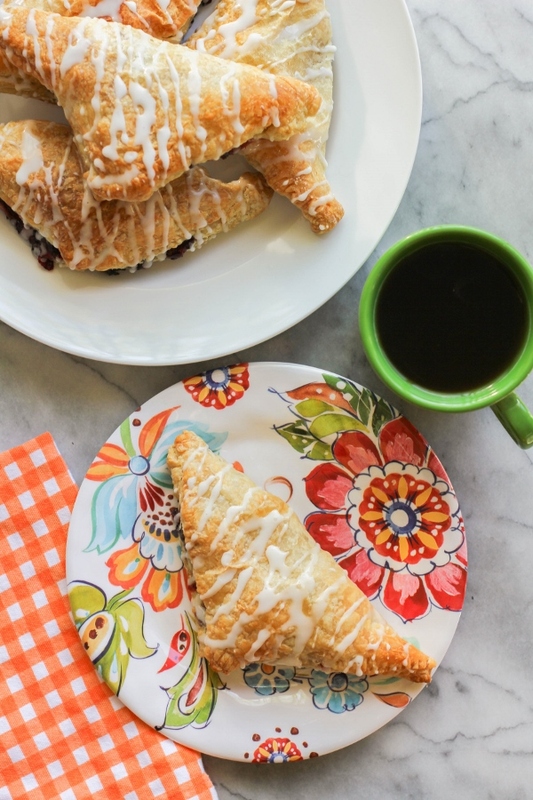 I enjoy my turnovers with a hot cup of coffee, but they are great with hot chocolate, tea, or even a tall cold glass of milk. They would also be perfect for the holidays. If you're having guests over, or just making breakfast for the family, they are a special treat that everyone will love. 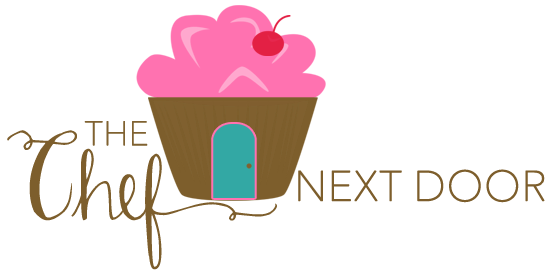 Visit the Puff Pastry website to find more recipes for inspiration and be sure to try Puff Pastry for your next get together! Preheat the oven to 400 degrees. Line two baking sheets with parchment paper or silicone baking mats and set aside. Carefully unfold the puff pastry sheets on a lightly floured board. Use a rolling pin and roll the sheets out to about a 10 x 10 inch square. Cut each sheet into four squares, for a total of eight squares. Spoon a heaping tablespoon of the cherry pie filling onto the center of each square. Sprinkle with a teaspoon or two of the mini chocolate chips. Fold the dough over from corner to corner, making a triangle, and press the edges together. Using the tines of a fork, press the edges gently to seal. Place the turnovers on the prepared baking sheet. Bake for 20-25, until the turnovers are puffed up and lightly browned. Cool for a few minutes before glazing. In a small bowl, whisk together the powdered sugar, milk and vanilla until smooth. 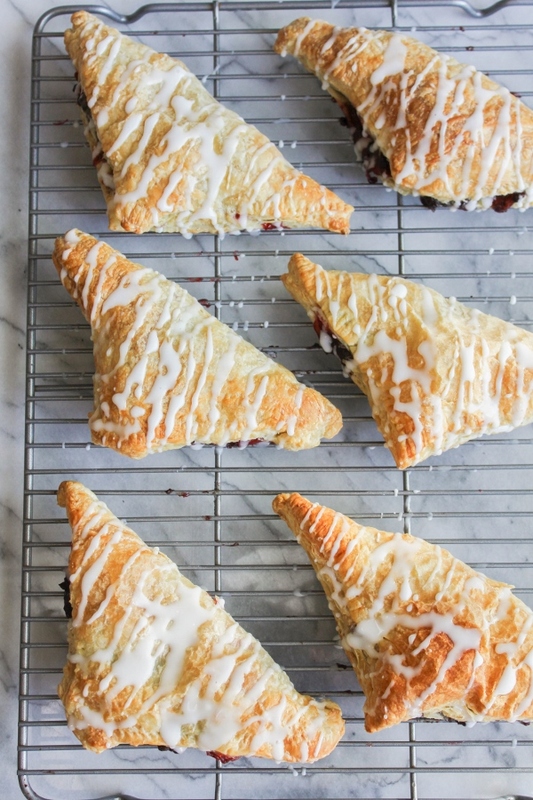 Drizzle the glaze over the turnovers and serve immediately.